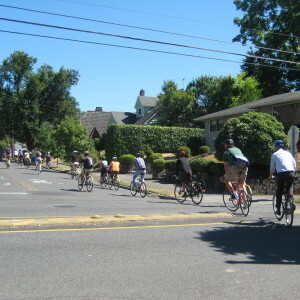 For National Bike Month Learn How to Bike Commute! May is National Bike Month! Here in the River City, Active RVA is partnering with Bike Walk RVA to host 3 seminars on bike commuting in May. May 7th at the Boulders on Southside. 5:30pm. May 8th at Innsbrook for West End riders. 6pm. & May 21st at MeadWestVaco downtown. 5pm. Commuting by bike is something we can all aspire to and it’s chock-full of benefits. It kickstarts your heartbeat, makes your first hours at work much more alert and energetic, and can sometimes even be quicker when you trade traffic jams for neighborhood short cuts. But it can take a little help to get started. That’s where Active RVA comes in. To support more Richmonders to use their bikes for commuting and running errands, we’ll help you to pick safe routes, learn how to navigate traffic, and get advice on what gear (if any) you could use to feel more comfortable. These gatherings are informal with time to socialize, drink and chat. And we’ll make sure that you leave feeling more prepared to experiment with a bike commute you’d like to try. Plus, they’re FREE! See you in the streets this bike month!